John Freeman from Trerhyngyll near Cowbridge in the Vale of Glamorgan has won the first prize of £5,000 in this year’s prestigious Bridport Prize poetry competition for his poem ‘Exhibition’. Originally from Essex, John Freeman taught for many years at Cardiff University. He grew up in London and has also lived in Yorkshire. His most recent books are What Possessed Me (Worple Press), and Strata Smith and the Anthropocene (Knives Forks and Spoons Press), both published in 2016. Earlier collections include A Suite for Summer (Worple), and White Wings: New and Selected Prose Poems (Contraband Books). 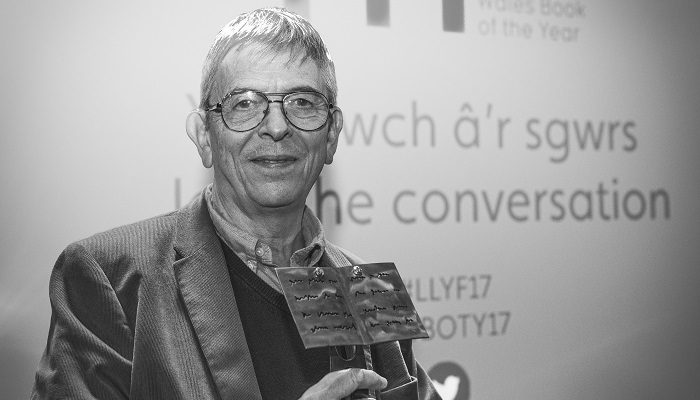 What Possessed Me won the Roland Mathias Poetry Award as part of the Wales Book of the Year Awards in November 2017. His poem ‘My Grandfather’s Hat’ won third prize in the National Poetry Competition, 2012. The Bridport Prize based in Bridport, Dorset, is one of the most prestigious open writing competitions in the English language with categories in poetry, short stories, flash fiction (stories of 250 words or fewer) and the Peggy Chapman-Andrews Award for a first novel, named in honour of the Prize’s founder. Established in 1973 and with over £18,000 in prize money to be won annually, the competition attracts entries from across the globe. This year over 12,000 writers from 79 countries competed for one of the 34 winner and highly commended awards. The Bridport Prize is the flagship project of Bridport Arts Centre in Dorset and the competition raises vital funds for the Arts Centre’s work each year. The Prize is known as a tremendous literary stepping-stone – the first step in the careers of writers such as Kate Atkinson, Tobias Hill, Kit de Waal and Helen Dunmore. The competition is open to anyone as long as the submitted work is previously unpublished. The competition for 2019 will be launched on 15 November with a closing date of 31 May 2019. Entries can be made by post or online with full information on how to apply available on the website. It’s a cool afternoon in mid-November. and one of them is taking off his shirt. Perhaps it’s for a dare, or someone bet him. but it sounds as if he must be in by now. crowd along the path in my direction. have it pulled tightly back above their foreheads. the smooth brow and the lines of hair above it. They must be eleven, twelve at most. not to be impressed or interested. gives an involuntary, inward smile. Who knows what is going on inside her? his shamelessness, or the girl’s fascination.